Association Master Trust (AMT) is a unique not-for-profit multi-association benefits trust formed to serve the group benefit needs of participating association employer members. 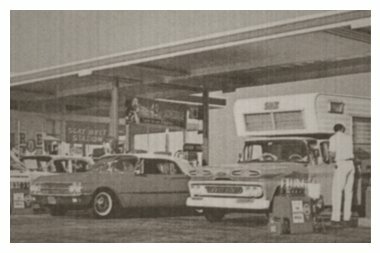 AMT was formed in 1979 and was the successor to the New Jersey Fuel Merchants Association Insurance Trust, originally established in 1945. Today, AMT offers self-funded health and dental benefits programs, combining employer units from seventeen independent trade associations to maximize claim stability, administrative efficiency, cost savings and a full menu of comprehensive benefits. AMT operates in accordance with the NJ MEWA law and is registered with the NJ Department of Banking and Insurance. Even though AMT's Health and Dental Benefit plans are self-funded, aggregate and specific stop loss protection for health claims is provided by Horizon Blue Cross Blue Shield of New Jersey to limit loss exposure. Horizon also provides AMT with medical claims processing and managed care services, as well as member access to the Horizon provider networks. The Delta Dental Plan of New Jersey provides AMT with dental claims processing services as well as member access to their dental provider networks. AMT holds monies in reserve to fund incurred but not reported claims as calculated by an independent actuary. Additionally, the AMT Trustees intend to maintain a level of plan equity that satisfies New Jersey's Risk Based Capital requirements for self funded multiple employer welfare arrangements. The Unicare Life and Health Insurance Company provides AMT employers with group Life and AD&D coverage options that are fully insured. 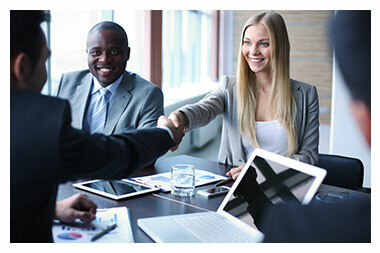 AMT Trust Board of Trustees is composed of representatives from each of the independent trade association’s Sub-Trusts. Currently, twenty two trustees, representing participating sub-association groups according to formula, manage AMT. They are a working board, meeting quarterly, and their decisions are binding and final on all parties within the parameters allowed by federal and state laws, codes, regulations and court rulings. AMT staff performs much of the plan's administration requirements on behalf of its members. The current staff of twenty three employees includes claim inquiry representatives with direct computer access into Horizon and Delta Dental computer systems, enrollment and customer service representatives, billing and account reconciliation specialists. AMT also has a fully qualified staff of marketing and service representatives to assist employer members and their employees in selecting the right coverage to satisfy their particular needs.